World’s best collection of visual tools. Ever. For those of you who loved the world’s best trend map, we bring you….the world’s best collection of visual tools. 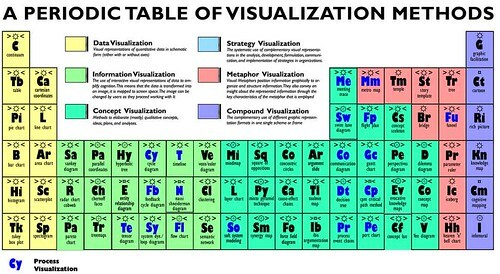 Just as the trend map used the familiar tube map to delineate global trends, the Swiss-based team at Visual Literacy have used the equally-familiar Periodic Table to showcase their collection of visual format. To see it in its full glory, go to this interactive version and scan your mouse over each symbol. Entry filed under: content, digital, media general.